Dr. Faranak Taheri is a licensed chiropractor at My Chiropractic Doctor, serving patients in Vienna, Virginia. Dr. Taheri has more than five years of experience in general chiropractic medicine and is licensed by the National Board of Chiropractic Examiners and the Virginia Board of Medicine. Her focus is providing her patients with quality care through chiropractic adjustments, physical medicine modalities, corrective exercises, and weight loss management. Dr. Taheri has additional training skills in Myofascial Treatment Therapies, such as Graston and Active Release Techniques. 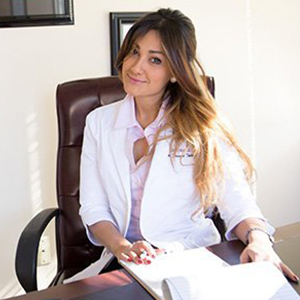 Prior to starting My Chiropractic Doctor, Dr. Taheri graduated from Cleveland Chiropractic College of Los Angeles (CCCLA) in California and earned her Bachelor of Advanced Science from George Mason University in Virginia. Dr. Taheri’s mission is to provide personalized, quality chiropractic care with an emphasis on preventive treatments and patient education. She is mainly known for her work in restoring the normal curves of the spine, allowing for a fully functioning nervous system. She also works with patients to alleviate chronic conditions like headaches, low back pain, and neck pain. She strives to give her patients more fulfilled and enjoyable lives and to educate them about chiropractic care so they, in turn, can educate others. At My Chiropractic Doctor, Dr. Taheri is committed to maximizing the quality of life within her community and genuinely likes to help people. Dr. Taheri is available to speak to your company, school, or club on health-related topics such as back injury prevention, pregnancy and postpartum care, workplace ergonomics, and other musculoskeletal conditions that chiropractic care can relieve and prevent.